HENG Chhay has more than 10 years of legal practice experience, having started his professional practice advising multinational and local companies in Cambodia and abroad. He attended a prestigious law school in Cambodia and holds a master’s degree of law from Nagoya University Graduate School of Law, Japan. He worked in the legal department of Toyota Industries Corporation (TICO) in Japan. Chhay is licensed to practice law in Cambodia. He is also licensed by Ministry of Justice to act as an administrator in insolvency cases and licensed by the Intellectual Property Department of the Ministry of Commerce as an official Trademark Agent. He is a member of the Bar Association of the Kingdom of Cambodia. His areas of practice include the fields of corporate and commercial law, property and construction law, banking and finance, contract law, and capital markets. 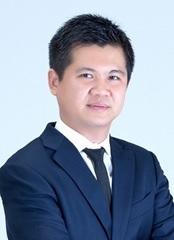 Chhay is also ranked as a Band 1 lawyer in Chambers Asia-Pacific and IFLR1000. He co-founded the firm in early 2010 and has managed it since.